A man and a woman living together, unmarried. This may not seem that crazy nowadays, but for simply showing this act, the film was refused reissue when the Production Code became enforced. 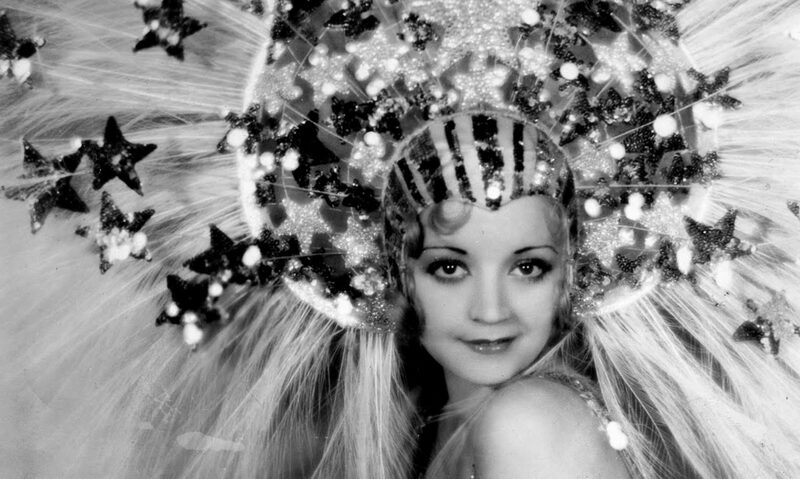 MGM had a weird obsession with operettas. 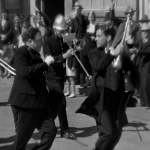 From inserting Laurel and Hardy into them to putting the Marx Brothers on the stage with a tenor or two, the studio always tried to add some class by affixing their properties with either the plots or the shadows of them and a few epic Italian songs. It wasn’t just comedians that this formula was designated for, as MGM’s newest star in 1934, Jeanette MacDonald, was quickly roped into the proceedings. Her rather high pitched singing voice helped, too. The Cat and the Fiddle is still mainly a stage adaptation, though. 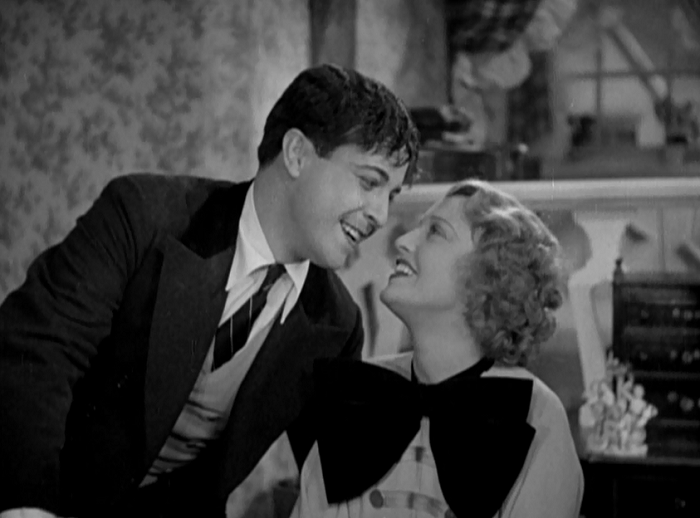 A brash young composer named Victor (Novarro) meets Shirley, a composer as well but more of the boogey woogey variety rather than the more ‘serious’ compositions he idealizes. After a fairly aggressive pursuit on his part, she relents and they fall in love. Yet, she didn’t say yes, she didn’t say no. Unlike in a lot of movies where the pursuit and coupling erases all doubts, this union doesn’t stabilize anything. We catch up with them months later. The tune he helped her clean up has become an international best seller smash, but he’s still struggling on his first operetta. They live together, and the passion is present, but their careers keep pulling them apart. Ramon Novarro plays Victor as a tortured rogue, a man whose passion is always directed toward that which he can’t have. Novarro’s handsome, but his pursuits and seeming-ADHD seem to paint him as a tragic Pepe Le Pew. They’re in Paris when he decides he must leave her and return to Brussels to finish his opera. The moment that he exits the picture, a flirtatious music picture named Daudet (Frank Morgan) swoops in. Soon Shirley’s engaged and Victor’s opera is on the skids, and only a reunion between the two can save Victor from debtor’s prison. Cat and the Fiddle is a unique kind of musical, one which posits that the musical interludes are sweeping moments of romance away from the humdrum reality of the rest of the picture. Often you’ll get the singers abandoning their instruments mid-song, choruses appearing out of thin air, and the world stops as romance occupies the world. The best scene of this involves the split between the lovers, as Victor sings Shirley a sweet song about her departure and slowly slinks out the door, teary eyed, while she sobs quietly. When his song finishes (after he’s left), she snaps out of it and throws open the window, hoping to catch a glance of him. However, he’s disappeared, and a soft breeze starts to play the room’s chandelier like the chimes. It’s a beautiful, delicate moment that speaks well to the film’s strengths. 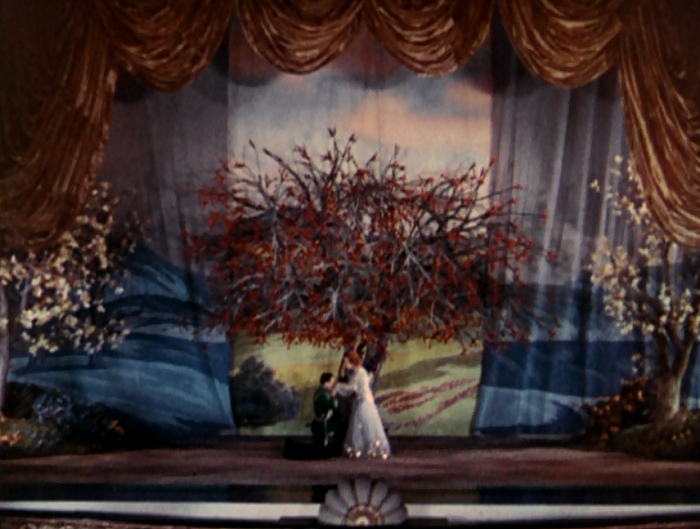 The film’s finale pushes this to its logical conclusion, with its final romantic number– a duet by Victor and Shirley begging each other for forgiveness on stage in front of a sold out house– bursts into full three-strip Technicolor. It’s one of the earliest appearances of the process, and, while it’s certainly still a bit rough, the difference between it and the muddy two-strip process is eye catching and lovely. Baz Luhrman just wishes his movies looked like this. I just wanted to note that the film does have one rather glaring flaw– the ending doesn’t actually resolve much of anything. Sure, the lovers do reunite with a passionate kiss, but they never actually settle the major problems they’re having in their relationship. Will she stick with him in the dregs, or will he reconcile his disastrous life with one of comfort? It doesn’t really matter– they’ll figure it out. It just feels like it ends a little too soon. As a romantic drama with light doses of comedy, The Cat and the Fiddle has a surprising amount of genuine sincerity built into its story of semi-starcrossed lovers. Even the film’s villain, Daudet, is an old man looking for love– a sneaky man, but an honorable one. 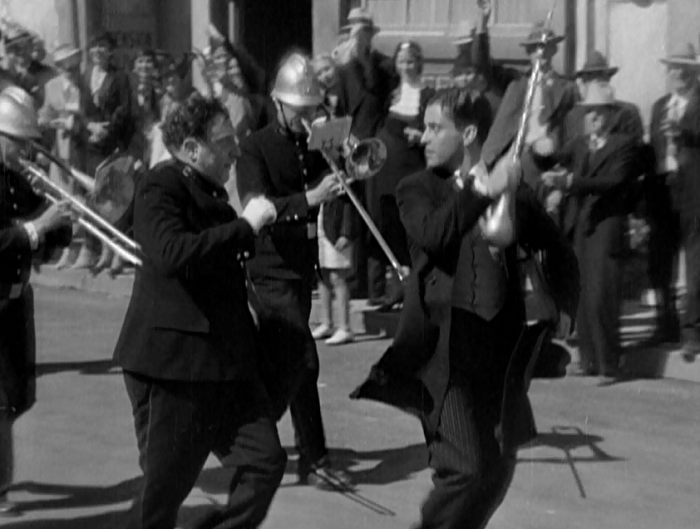 Much of the film’s comic relief comes from Charles Butterworth as a harpist in the usual Butterworth way, and even Sterling Holloway in a scene-stealing moment where he suggests that love on a rainy night is probably best done indoors. 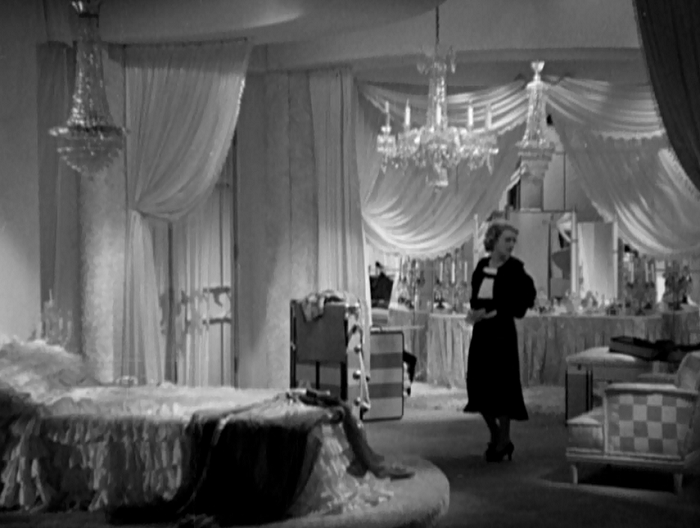 While I might disagree with MGM that you can buy sophistication just by singing in Italian, it’s hard not to enjoy The Cat and the Fiddle for its airy and sweet romance. The third major song is Shirley’s big pop music hit “The Night Was Made for Love”, which is used for several reprises. A standard operetta duet, its romantic melody is perhaps even farther removed from contemporary taste. Defending older musicals and popular music based on today’s tastes is a pointless exercise — Jerome Kern’s melodies have qualities seemingly lost to modern music. Imaginative viewers curious about the past will be intrigued, especially if the romantic angle appeals. Mordaunt Hall in the New York Times is delighted by this one. TCMDB uses this one to talk about Ramon Novarro’s falling star. Once MGM’s biggest star whose greatest success was the silent epic Ben Hur: A Tale of the Christ (1925), Novarro’s accent made his transition to the talkies take him from dashing exotic star to more of a pleasant waif. After this film’s lack of success, he transitioned to supporting roles. 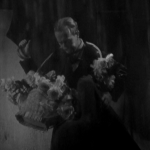 For more on Novarro, here’s his profile on The Golden Silents. My special needs (autism/developmental delay) son has an ear for music and adores Kern. This film used to play on Canada’s Family Channel (!!) when he was young and our old VHS tape was on a continual loop for a time. When he discovered “I Watch the Love Parade” on YouTube it was like finding a long lost friend. Apparently my well-intentioned version of the song does nothing for him! If it makes you feel any better, I’m sure your son wouldn’t want to hear my warblings either. 😀 Thanks for sharing that really sweet story. 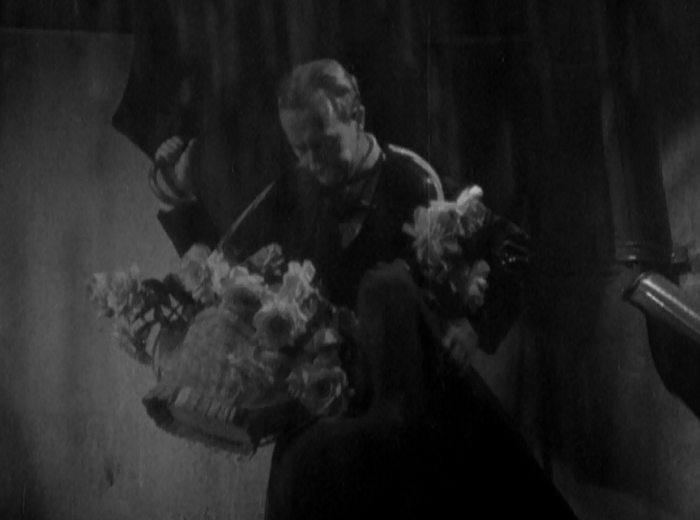 Next PostNext Love is a Racket (1932) Review, with Douglas Fairbanks Jr.